Challenge the Way You Think. Think Indigenous. Think Trent. Learn from exceptional faculty with backgrounds in both Western and Indigenous knowledge, and experience cross-cultural learning. Learn how Indigenous peoples in Canada and around the world are shaping our globe through a creative blend of Indigenous and Western knowledge. You will study the historical and contemporary interactions between Indigenous and non-Indigenous societies, and the cultural foundations of Indigenous life in areas such as performance, literature, politics, ecology, and governance. Graduate Teaching Assistant Opportunities for 2017-18 now available. 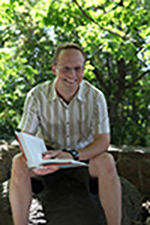 Research Interests: Aboriginal modernity; My interests are focused upon the emergence of modern aboriginal society, the key debates and ideas animating individuals and collectivities within it and the shape and nature of ‘governance’ as the key institutional idea that give expression to aboriginal modernity. 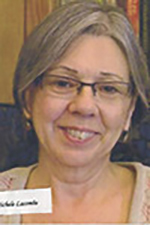 Research Interests: Lynne’s areas of specialization are Aboriginal community development, building sustainable communities, social change, international development, popular education, and Aboriginal alliances with social movements. 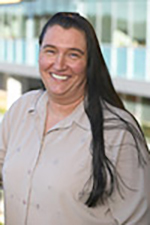 Research Interests: My research interests are in the fields of environmental health risk assessment, management and communication in cooperation with Indigenous populations. A particular focus of the work is on communities living in rapidly changing natural environments such as coastal and Arctic ecosystems. Research Interests: Indigenous women’s voices include many kinds of storytelling, from oral and written versions of family and community history to autobiography, life-writing, poetry, theatre and performance, fiction, and essays. I am interested in understanding relationships to place and nation as articulated in the arts. 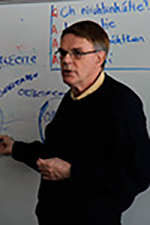 Research Interests: Aboriginal urbanization, Indigenous education, community development, justice and corrections, Aboriginal-mainstream Canadian relations, culture and identity, globalization and social change, Indigenous knowledge and international Indigenous peoples. 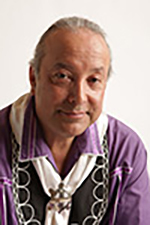 Research Interests: Indigenous Histories, Indigenous Women, Indigenous relationships within the Natural World, Colonialism and Resistance, Indigenous Performance. Daystar (Rosalie Jones) was born on the Blackfeet Reservation in Montana and is of Pembina Chippewa ancestry on her mother's side. She holds a Master's Degree in Dance from the University of Utah with postgraduate work at Juilliard School in New York City. She studied Korean, Hawaiian, East Indian and Flamenco dance, mine with Reid Gilbert, and modern with Jose Limon and Hanya Holm. Over many years, she has gained a knowledge of the Indigenous dance and cultural forms of the Plains, the Northwest Coast, and Conchero Dance, among others. 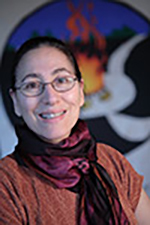 As a teacher, she was responsible for the revitalization of Performing Arts at the Institute of American Indian Arts in Santa Fe, New Mexico, during the early 1990's when she was Chair of the Department. 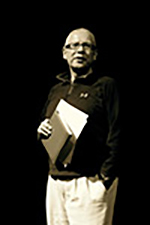 In 1995, Daystar was awarded a two-year National Endowment for the Arts (NEA) Choreographer's Fellowship. 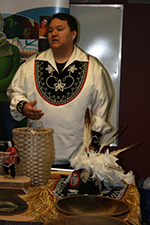 Shirley is a member of the Bird Clan of the Ojibway and Odawa First Nations of Canada. Her Anishinaabe name is Migizi ow Kwe meaning Eagle Woman. She was born and raised at Wikwemikong, Manitoulin Island and attended St. Joseph’s Residential School in Spanish, Ontario. After completing her NS diploma, she received her BA in Native Studies at Trent Univer-sity and her Native Language Instructors Program diploma from Lakehead University in Thunder Bay. Shirley received her Master’s Degree from York University in Environmental Studies. In June of 2004, Shirley retired from the Indigenous Studies Department and now holds the title, Professor Emeritus. Edna is Odawa/Ojibway from Wikwemikong, Manitoulin Island; head woman for the Eastern Doorway of the Three Fires Midewewin Lodge. She is well-known nationally as a Traditional teacher, ceremonialist, drum keeper and grandmother. She has been instrumental in the re-introduction of Traditional teachings and ceremonies in the local area, and is an active researcher of Traditional medicines. 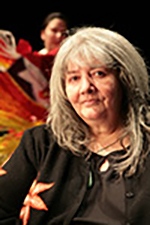 Edna is the founder of the annual Aboriginal women’s symposium at Trent. It was through her vision that Indigenous Studies and Trent started Nozhem Theatre, our Indigenous performance space that is developing an international reputation in Indigenous theatre and dance performance.